Guillermo Del Toro is certainly taking his time with Crimson Peak. The movie shot early this year but won’t be in cinemas until October 2015. However we now get our first look at the movie courtesy of an image of Jessica Chastain that appears in the latest issue of EW. Few story details have been released, beyond that young author Edith Cushing (Mia Wasikowksa) discovers that her charming new husband Sir Thomas Sharpe (Tom Hiddleston) is not who he appears to be and has plenty of secrets. Chastain plays Sharpe’s sister, Lucille, while Charlie Hunnam is Dr. Alan McMichael. As you can see from the pic, it’s a rather gothic affair and it appears it’ll be shot through with Del Toro’s unique style. In the last few months Guillermo Del Toro has been talking up Pacific Rim 2 and his plans for the movie, but it turns out before we get that film, he plans to direct another movie beforehand. 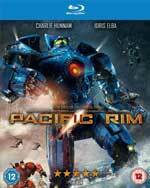 Pacific Rim 2 already has an August 2017 release, but Del Toro is hoping to slot in his other movie with an early 2015 shoot planned. It will be rather smaller that his giant robot film though, including bring made in black and white. Director Guillermo del Toro is at the Rome Film Festival, where he ended up getting onto the subject of Warner Bros.’ plans for the DC Universe, suggesting they have an all-encompassing scheme that will cover all mediums. Previous reports have suggested Justice League Dark will include DC heroes such as John Constantine, Swamp Thing, The Demon, Deadman, The Spectre, Zatara and Zatanna. Guillermo del Toro is working on the script with a writer who hasn’t been identified yet. It seems therefore that Batman Vs. Superman is just the start of an interconnected universe that DC hopes can rival Marvel. Take a look at Del Toro’s Rome Film Festival interview below. There’s a saying in Hollywood that if a film is bad critics blame the screenwriter, but if it’s good, it’s the director who gets the credit. There’s a certain amount of truth in that, and it’s something that would be easy to do with Pacific Rim. The action scenes are terrific, it looks amazing and the world building is impressive, but the characters feel a bit like action figures. A few days ago, Benedict Cumberbatch dropped out of Guillermo Del Toro’s upcoming Crimson Peak. The director and Legendary Pictures have moved fast to find a replacement – even though it doesn’t start shooting until next February – as Tom Hiddleston has stepped in to the vacant role. Charlie Hunnam, Jessica Chastain and Mia Wasikowska are also attached to star in this haunted house thriller, although no specific story or character details have been revealed at this time. Del Toro has promised it will be scary and very different from any of his English-language films. Guillermo will directing from a screenplay he is currently rewriting with Lucinda Coxon, based on an original draft the director co-wrote with Matthew Robbins. When Guillermo Del Toro started casting Crimson Peak earlier this year it surprised many as the movie isn’t due to shoot until next year. While he’d signed Charlie Hunnam and Jessica Chastain, his gambit of getting actors early hasn’t completely paid off with one star, as Benedict Cumberbatch has exited the movie, according to THR. He’s the second actor to bail, as in June Emma Stone bailed and has since been replaced by Mia Wasikowska. Cumberbatch signed up in April, but now he’s out, with Legendary Pictures and Del Toro currently seeking a replacement for the Star Trek Into Darkness. The film is scheduled to begin production in February. Guillermo del Toro is directing from a screenplay he co-wrote with Matthew Robbins and Lucinda Coxon. The project is said to revolve around a haunted house, but no specific story details have been confirmed. It’ll start shooting next February. Kevin Costner’s career revival continues with the news that he is in talks to star in Midnight Delivery for Universal Pictures, according to Variety. Guillermo del Toro is set to executive produce the project, and he also came up with the idea for the film. The movie is about a desperate father who reluctantly becomes a drug mule in order to save the life of his son. Neil Cross (Mama) wrote the original screenplay, based on Del Toro’s story. Costner was most recently seen as Jonathan Kent in Man of Steel, and next he’s set to be part of another major new franchise pic, Jack Ryan. He also recently wrapped shooting on Draft Day. It’s certainly a big change for a man who was barely averaging one movie a year through the 2000s, none of which could be described as a major hit. Guillermo Del Toro is the opposite of Christopher Nolan and JJ Abrams. While they like to keep everything they do secret, Del Toro cannot help but talk about every possibility in his future. He’s currently promoting Pacific Rim, and has been chatting about various things, including that he wants to work with Charlie Kaufman (Being John Malkovich, Adaptation) on a movie version of Kurt Vonnegut’s Slaughterhouse Five. It seems therefore nothing has been sorted yet, so this is still just a possibility rather than a probability. The book follows WWII soldier Billy Pilgrim, who becomes ‘unstuck in time’, living through periods of his life in haphazard fashion (yeah, that does sound a bit like Time Traveller’s Wife, but Slaughterhouse Five is actually good). The last couple of trailer for Pacific Rim have concentrated on the monsters, robots and action, and while there’s still a lot of that in this final promo, it also wants to remind us there’s a human side too. There’s also a fun vid featuring Ron Perlman as a monster parts salesman which you can watch below! Here’s the synopsis: ‘From acclaimed filmmaker Guillermo del Toro, and starring Idris Elba, Charlie Hunnam, Rinko Kikuchi and Ron Perlman, comes the sci-fi action adventure, Warner Bros. Pictures’ and Legendary Pictures’ PACIFIC RIM. ‘When legions of monstrous creatures, known as Kaiju, started rising from the sea, a war began that took millions of lives and consumed humanity’s resources for years on end. To combat the giant Kaiju, a special type of weapon was devised: massive robots, called Jaegers, which are controlled simultaneously by two pilots. But in the face of the relentless Kaiju, even the Jaegers prove defenseless. It’s out in cinemas on July 12th. Hellboy has been a bit of an unfortunate franchise, as while everyone who’s seen the two Guillermo Del Toro movies seems to have liked them, they didn’t make much money. Indeed, between the first and second movie it moved from Sony Pictures to Universal, as the former didn’t want to pay for a follow-up, having barely broken even on the first. Since Hellboy II there’s been talk of a third film, but generally it’s been with more hope than with any sense it might actually happen. However now there’s a glimmer that it might actually happen, as Del Toro and star Ron Perlman have been talking about the possibility of Hellboy III. It’s certainly more hopeful that when Del Toro last talked about the possibility of a franchise, when he said the idea was pretty much dead, partly because Ron Perlman had suggested he didn’t want to do it because of the heavy and uncomfortable prosthetics work involved. However can Legendary, the company behind the likes of Pacific Rim, Man Of Steel and the Dark Knight movies, actually get it off the ground? Legendary’s Tull later responded by saying, “There are rights issues that would need to be sorted out for Legendary to get involved.” It certainly sounds like he’s interested, even if he doesn’t want to say anything that sounds like a commitment. Don’t get too excited yet, but it does appear the idea of Hellboy III is more likely than it has been for several years.